China Mobile Hong Kong celebrates Valentine’s Day with a digital campaign to help lonely hearts find love by creating and publishing their Valentine’s Day cards. 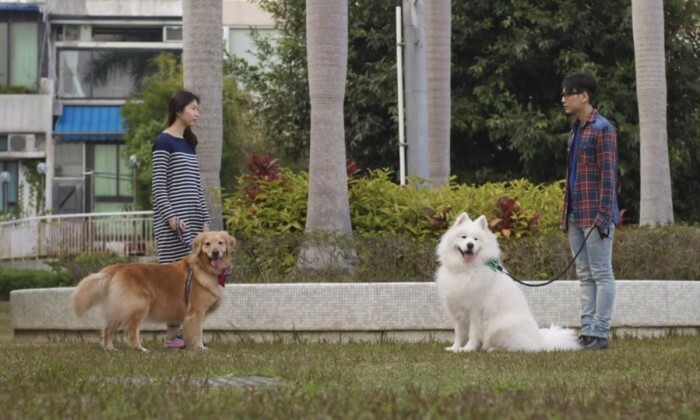 Spanning online, mobile and social media, the digital campaign will be launched with a video featuring an adorable male dog and his male owner – both secretly in love with a female dog and her female owner respectively – but are too shy to express their feelings. This video is an interesting and heartwarming portrayal of the lives of many young and lonely Hong-Kongers seeking love in a city, with different scenes depicting the lonely existence of the male lead from playing chess, dining and going to the karaoke on his own without a companion. The scenes in the video when he uses his mobile to take a selfie; compose a message with Instagram hashtags; and eventually publishing his card on website, OOH andpost on Facebook also reinforces how digital, mobile and social media is very much embraced and part of courtship in this connected city. The campaign, led by New Digital Noise, NDN Group’s digital agency, spans across OOH, website, social media, mobile executions, and promotions with a prize giveaway of a pair of the latest Samsung Galaxy A series to the winning card with the most creative messages and design. “We are in the business of connecting people and we thought what better day than Valentine’s Day to build our brand’s emotional connection with our consumers,” said Paula Yang, general manager at NDN Group. This is after 11 years with the agency. .. Scheduled for 13 September 2017, the conference gathers industry experts and top executive speakers to keep marketers on track wit.. This is for its Park Hotel Farrer Park development. .. The UK's largest independent data analytics agency opened its office in Causeway Bay with former Digitas data and analytics head P..